for you or Your Lover. Apple iphone 4 embellished in Gold/Rose Gold/Platinum & Crystal. This stunning iPhone is uniquely crafted. 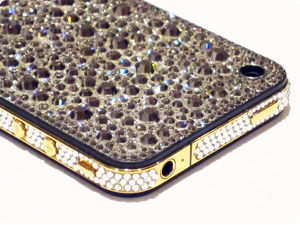 Each iPhone is hand finished and inlaid with more than 500 best quality Crystal stones. Like the diamond setting process each stone is individually set into cut clasps, that run seamlessly along the circumference of the bezel / back cover complimenting the curves of the device while adding seductive detail. 2 You need this Because You are SPECIAL. 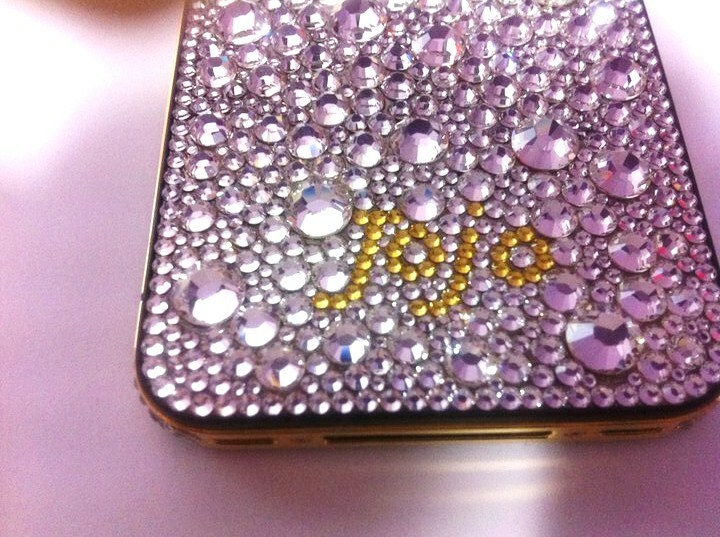 The back, sides and buttons of your iPhone will be polished and plated in luxurious 24ct. gold, rose gold or platinum. The entire back and sides of your iPhone will be inlaid with genuine Swarovski crystals (any colour - see crystal colour chart in Gallery link here). We will crystallise your home button on request free of charge. We will cover your iPhone with a Full 12 months warranty and a full 12 months guarantee on the crystallisation and plating. All Swarovski crystallisation and plating services come with a certificate of authenticity. Payment : Cash, Bank Transfer Or All Major Credit Cards. Please contact one of our sydney stores. Purchase a brand new (unlocked) iPhone customised in 24ct. gold, 24ct. rose gold, platinum plating and genuine Swarovski crystals. All products come complete with all their original accessories. All iPhone’s sold are officially unlocked and SIM free to ALL networks - you can use this iPhone 4 on any network throughout the world provided that network is compatible with the iPhone 4 (we do not sell the CDMA version of the iPhone 4).